Rasheen Aldridge, activist and democratic committeeman for the 5th Ward, wipes his eyes after police officers sprayed chemicals at protesters near Busch Stadium. 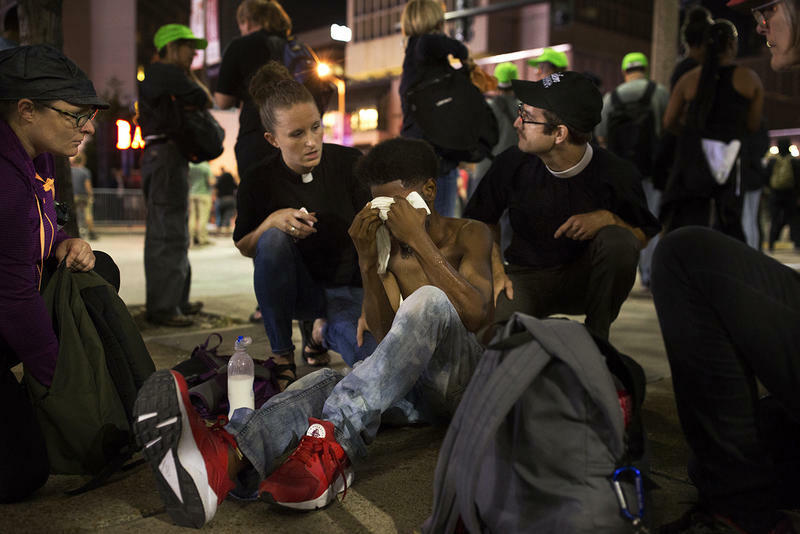 Demonstrators comfort each other after police sprayed chemicals at them near Busch Stadium. Protesters, including Marcellus Buckley, center, chant outside Busch Stadium during a Cardinals game. LaShell Eikerenkoetter addresses police officers after protesters saw them use a Taser on a demonstrator. Protesters receive help from street medics after police sprayed chemicals at them near Busch Stadium. Protesters stand on 8th Street near Busch Stadium two weeks after the acquittal of former police officer Jason Stockley. Rasheen Aldridge, activist and democratic committeeman for the 5th Ward, leads protesters in a chant outside Busch Stadium. Livestreamer Heather De Mian wipes her eyes after police sprayed chemicals at demonstrators near Busch Stadium. Cori Bush addresses police officers outside Busch Stadium. Police apprehend someone said to have thrown a water bottle after protesters, who discourage throwing things during protests, encouraged him to take responsibilty for his actions. For much of the night, the crowd was festive. 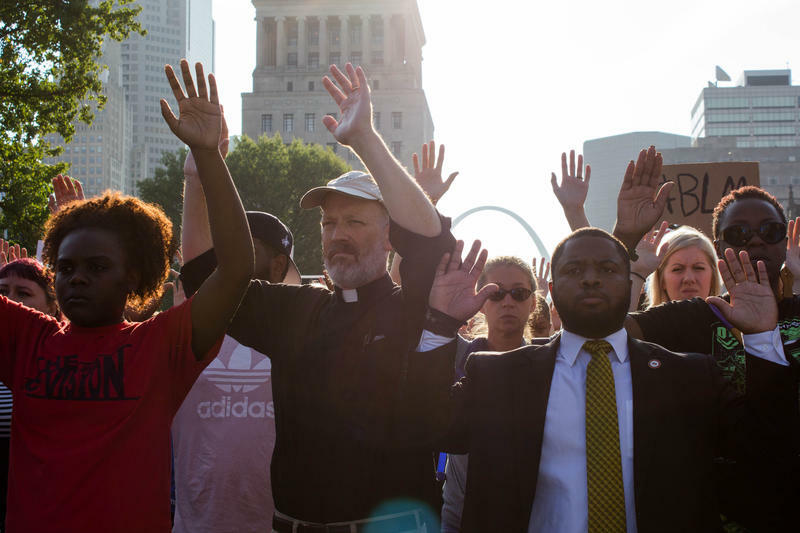 But before 10 p.m., as protesters marched down Broadway to Kiener Plaza, officers ordered the protesters to disperse about a block from the ballpark, police said. Among those police appeared to have arrested was the Rev. Darryl Gray, who has been active in protests for the past two weeks. Protesters said police sprayed him with a chemical agent. 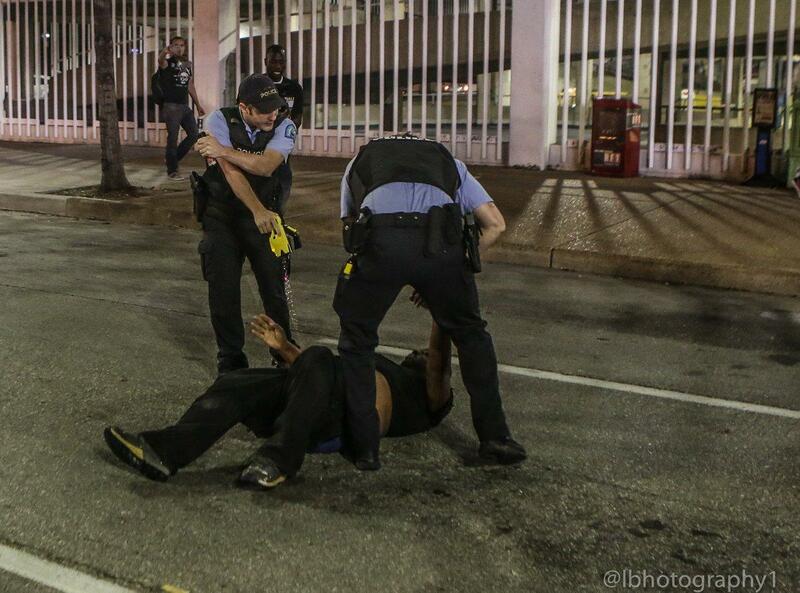 Protester and activist Calvin “Cap” Kennedy was shot with a Taser near Busch Stadium on Friday night. Police also appeared to arrest activist Calvin “Cap” Kennedy, who was shot with a Taser and also sprayed with a chemical agent. “They tased him for nothing, as he was trying to catch up with us,” one woman shouted. Protesters demanded to know why officers, who by then were wearing riot gear, had used the Taser and chemical spray. At that point, some in the crowd also said they were also hit chemical spray. LaShell Eikerenkoetter, a black woman who helped lead the demonstration, was particularly angry at black police officers who stood with their white colleagues against the protesters. "You are so ready to hurt me,” Eikerenkoetter yelled through a megaphone. “I would never hurt you." The standoff came an hour or so after activist Cori Bush took to the megaphone to tell police gathered outside the stadium why protesters keep bringing their message there. She said many in the community do not trust police — and that won’t change until extrajudicial violence against black people ends. As people in the crowd headed to the St. Louis City Justice Center following the arrests, some people who had attended the game shouted at the protesters. 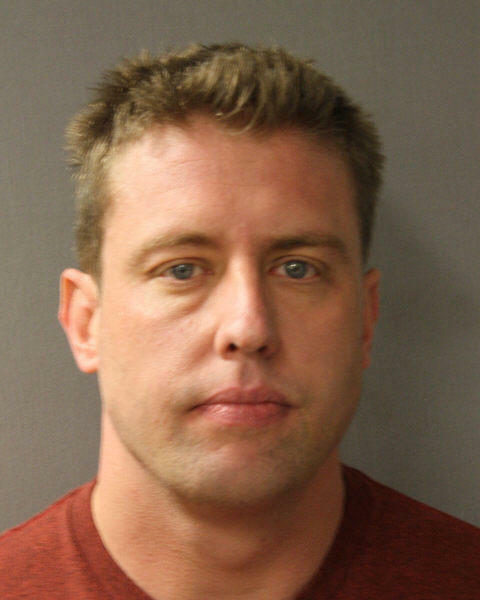 Friday night’s protest marked two weeks since St. Louis Judge Timothy Wilson found former St. Louis officer Jason Stockley, who is white, not guilty of first-degree murder in the 2011 death of Anthony Lamar Smith, a black man. Since the verdict, protest organizers have led demonstrations nearly every day, and vow to continue. Ryan Delaney and Carolina Hidalgo contributed to this report. Later in the evening, a group of protesters returned to Washington Avenue, close to where mass arrests were made on Sept. 17, sparking three lawsuits against the city. After protesters surrounded a police car for a few minutes, yelling at the officers inside, a line of police in riot gear showed up. The group eventually moved on, and the protest ended after about two hours, with no arrests.